Jasmin’s connection with denim, natural dyeing and used fabric evolved from a young age where growing up on a self-sufficient farm and the need for hard wearing fabrics was a must. Using recycled materials like denim, pallets and driftwood provides the opportunity for each piece to be truly unique and to Jasmin, and her home-based business, represents the opportunity to facilitate a change of mindset, repurposing and conscious buying for the local community. 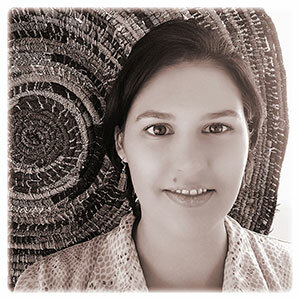 We are blessed at The Sound Temple to have Jasmin join us to as an advocate and presenter in the Perth Hills as part of our Common Threads Woven Through Community Exhibition.